Gardening is a therapeutic task for many of us. However, if you can’t find the tools you need, it definitely becomes more of a hassle. 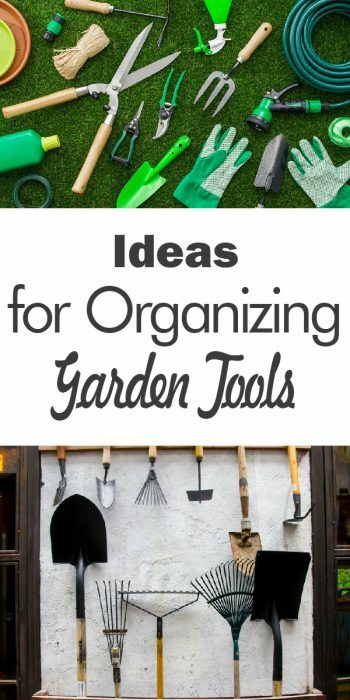 I have some ideas for organizing garden tools to relieve the stress of keeping track of them all. When the tools are organized, gardening is the fun and relaxing job you want it to be. If you don’t already have a section of wall space dedicated to organizing garden tools, you should. It makes a huge difference! You don’t have to dig through a pile of rakes, shovels, and hoes to find the tool you need at any given moment. Can you see what a time saver organizing garden tools is? 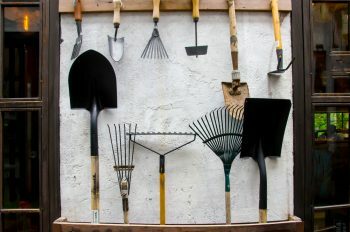 Dedicate a section of wall in your garage, shed, or on the back of your house where you can hang all your garden tools. 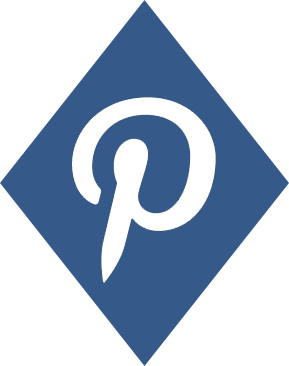 There are many options for this that include hooks, nails, or a section of pegboard. 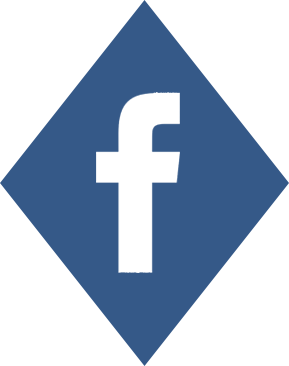 They all work well–just choose what works best for you! 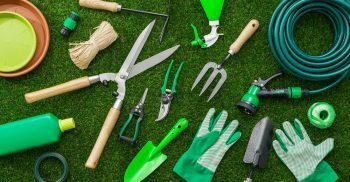 Many gardeners like to keep a separate collection of their favorite small hand tools they use most often. Organize your favorite tools in a tool organizer or plastic 5-gallon bucket. When you’re ready to head to the garden, just grab your bag of tools. I like to use a 5-gallon bucket because it doubles as a place to toss the weeds. When you’re done, just carry it to the trash can to dump. 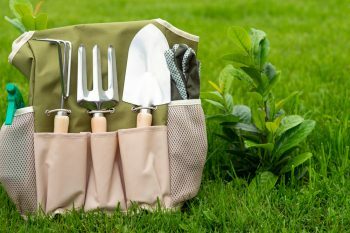 Check out the garden tool organizer options available from Amazon! 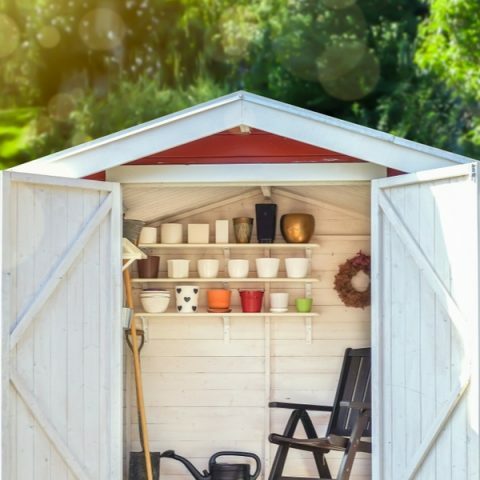 If you have a dedicated garden shed, organizing garden tools is easy. Are you using the shed as intended? If not, here’s how to fix that problem. Begin by clearing out the shed. Remove all the stuff from the shed that has nothing to do with gardening. Set up an organizer on one wall to hold rakes, shovels and other tools. 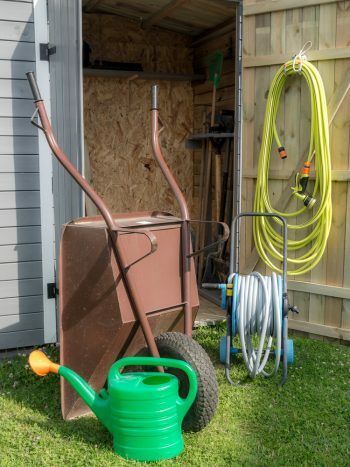 The back of the door is a great spot to hang extra garden hose and outdoor extension cords. Organizing garden tools isn’t hard. Just make a goal to get the job done so you can enjoy more time digging in the garden. The effort will be worth it!